"...I thoroughly enjoyed the guys and their help moving my stuff Tuesday. They did an awesome job, and it was a pleasure spending the day with them. It was truly the best experience I have ever had moving, and I've moved a lot! I will definitely contact your company next time I relocate. Thank you so much!" 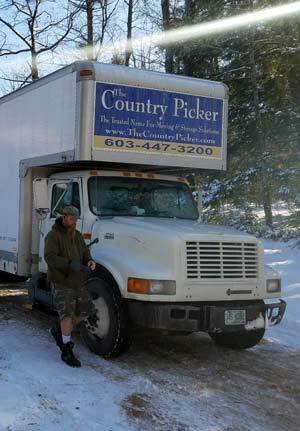 The Country Picker was founded in 1974, first as an antique business that specialized in estate sales and appraisals. Responding to the needs of the Mount Washington Valley and surrounding area, the company transitioned into a moving and storage business. Owners Cathy Nealon and Philip LeBlanc purchased the company in 2007 (forming New Hampshire Moving & Storage LLC) and shortly thereafter acquired Tom Daley Moving, a long-established Carroll County NH local moving company. 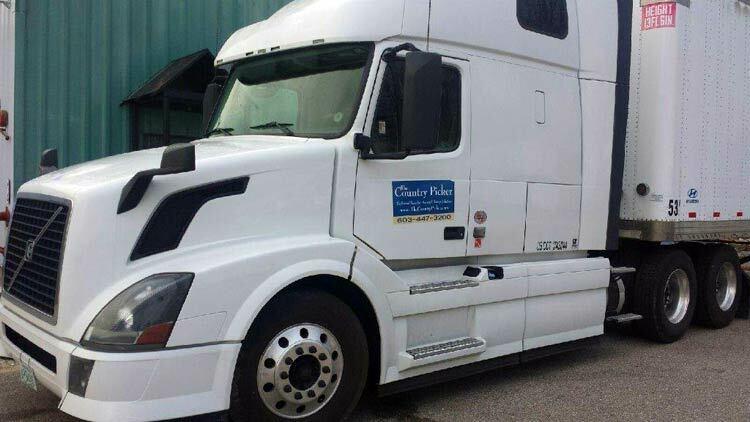 Over the years, The Country Picker has moved thousands of families and hundreds of businesses and has grown to be a sizable independent mover, operating moving vans and providing nationwide moving services. At The Country Picker, owners Philip LeBlanc and Cathy Nealon still believe today in the principles that defined our company when it was first established: integrity, honesty, know-how, and old-fashioned hard work. We love what we do and our passion for moving is reflected in our attention to the smallest details and the care we give to each and every piece we move. We believe in offering our customers the services that they require, while providing cost savings every step of the way, making every customer a customer for life.